"Two games you don't have to buy this holiday season!" This month, the free games you PS4 Playstation + subscribers provide endless amounts of gameplay in two very different worlds. 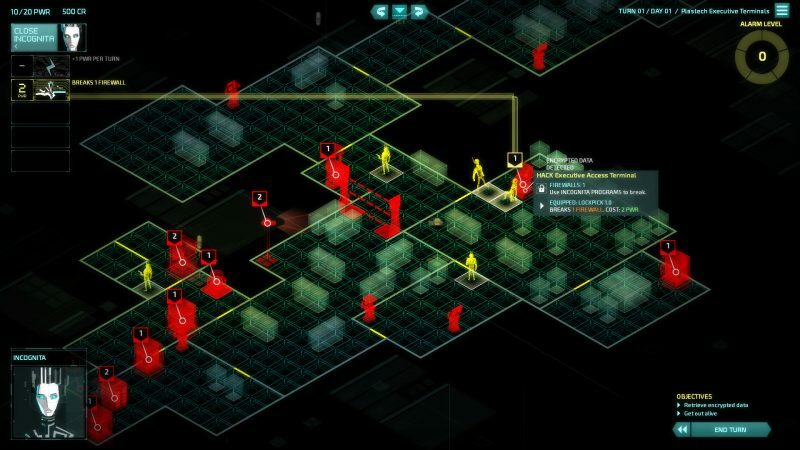 Invisible, Inc. takes you into a futuristic world of corporate espionage. 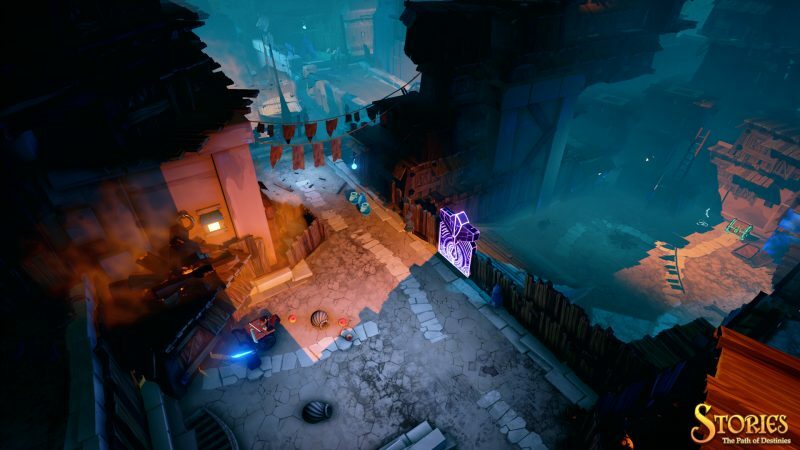 If hacking corporate security systems aren't your thing, then Stories: The Path of Destinies' fantastical branching narrative might be what your looking for. Developer: Klei Entertainment Publisher: Klei Entertainment Released: April 19, 2016 Now you can live your corporate spy dreams. Invisible, Inc. is a turn-based stealth game created by Klei Entertainment, the the studio behind the brilliant Don't Starve. With 10 playable spies and randomly generated worlds, this game is sure to keep you entertained for hours on end. [embed]https://www.youtube.com/watch?v=WKeKoOQW46Q[/embed] The year is 2074, and Invisible, Inc.'s headquarters have been compromised. Most of the agents have either been captured or killed. Incognita, the A.I. program used to hack the corporate security systems, is almost all but destroyed. It is your job to infiltrate the suspected corporations, steal their intel, and begin rebuilding Invisible, Inc. Fortunately, you have plenty of tools a your disposal. Other than the basic peaking through keyholes and around corners, the game provides a variety of tools to take down your corporate foes. Items include cloaking devices, EMP packs for disabling drones, and decoders for unlocking doors. In addition to items, you have access to Incognita's hacking programs to break into enemy firewalls. Lastly, weapons are used, as weapons usually are, to takedown enemies. However, you have a variety of weapons to use, from guns that provide lethal damage to disrupters that only knock enemies out for a number of turns. All these tools, along with ten playable spies and randomly generated maps the espionage never stops. Every map requires a different strategy, as does every character and items combination. This is your lucky month if you're the type to enjoy turn-based strategy games. This one is one of the best. Developer: Spearhead Games Publisher: Spearhead Games Release Date: April 12, 2016 Ignore the terrible title of this beautiful fantasy action-RPG. Stories: The Path of Destinies provides your fairytale fix. Make decisions about Reynardo's journey as he fights for the rebellion against the Emperor. With multiple paths to follow, will you be able to uncover the true path to victory? [embed]https://www.youtube.com/watch?v=_ukxGwWsYJs[/embed] As the snarky fox Reynardo, you hack-n'-slash your way through enemies across numerous landscapes. Along the way, you will unlock abilities such as a hookshot and time mastery by praying at alters. You also will upgrade and create swords that have their own magical powers. The heavily Batman: Arkham Asylum-influenced combat can be repetitive. However, it is at least fast paced, fluid, and beautiful to watch. Speaking of beautiful, the environments in Stories are absolutely lush with color. From jungles to deserts to Lovecraftian dungeons, every location in this game has a delightful storybook feel. The game's humorous narrator and dynamic soundtrack also heightens the game's storybook feel. The narrator voices all the characters, while also narrating the events of the game. And with 24 different endings, that is a lot of narration. Additionally Stories features a dynamic soundtrack that actually changes depending on how you play the game. Stories: The Path of Destinies is certainly a game of many paths that will give you your free fantasy fix.